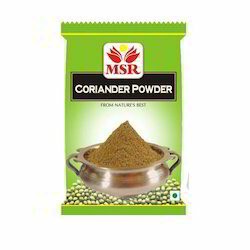 Coriander (Dhaniya) powder is prepared from Green Indoori variety. It is grounded to make a fine powder which adds good aroma and taste to several delicacies. - 500gm, 200gm, 100gm, 50gms pouches. - 5Kg, 1Kg, 500gm, 300gm PET jars on demand. - 200gm, 100gm Mono cartons on demand. Coriander is considered both an herb and a spice since both its leaves and its seeds are used as a seasoning condiment. Fresh coriander leaves are more commonly known as cilantro and bear a strong resemblance to Italian flat leaf parsley. This is not surprising owing to the fact that they belong to the same plant family. 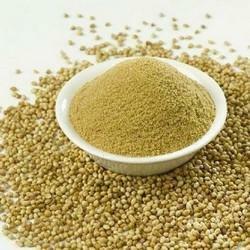 We are engaged in manufacturing excellent quality of Coriander Leaf Powder(Sun Dried) to our valuable clients. Our company has been successful in winning appreciation from the clients as one of the most prominent names in the trading of Mint & Coriander Leaf Powder.